New homes set on hilltop tall. On your bed jewelled pebbles gleam. For this peaceful placid place. Surrendering to the sea’s embrace. 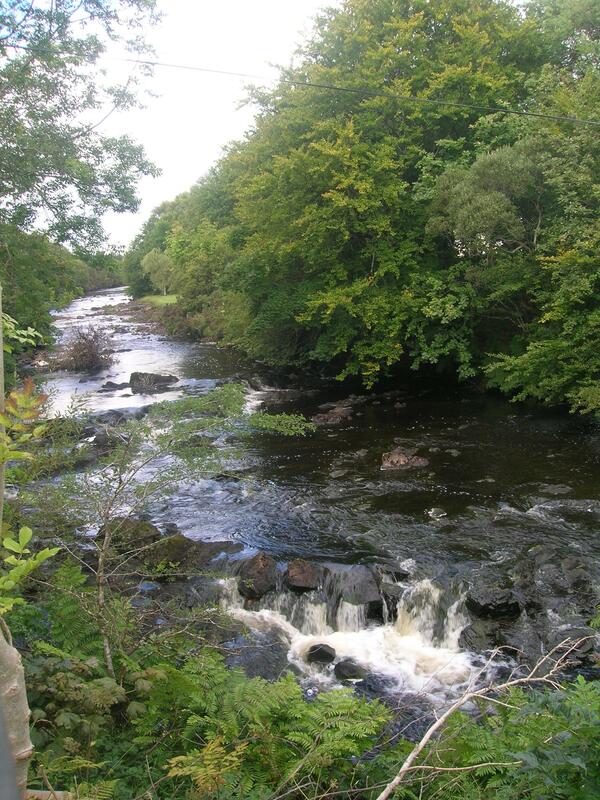 Note: The Owenriff River (Abhainn Ruibhe – Sulphur River), flows through the Village of Oughterard along the main Galway/Clifden Road. 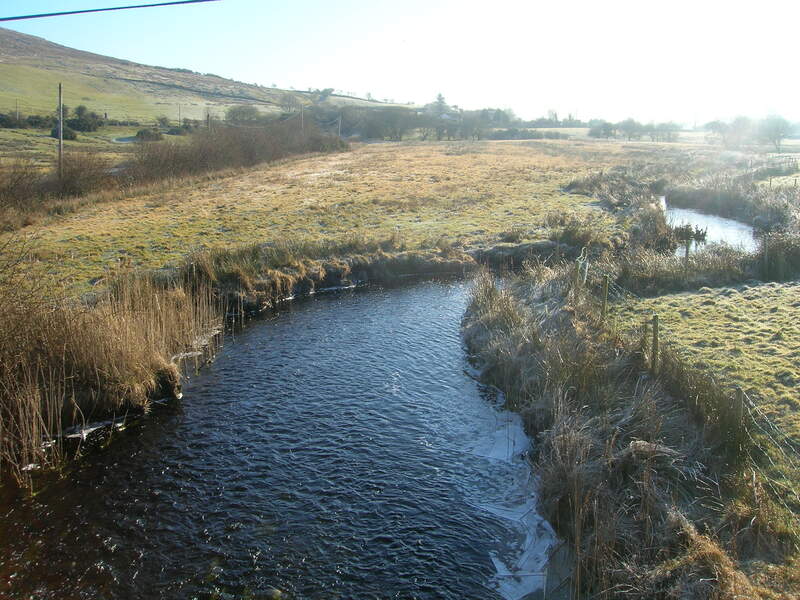 The river rises 16km (10miles) west of Oughterard in Lough Aphreaghan. It flows through Lough Boffin, Lough Adrehid and under the Quiet Man Bridge, through Lough Agraffard and the Lead Mine Lake. stream from Lough Mall also contributes to the flow of water. This massive and powerful body of water tumbles over a waterfall. You can gain access to the waterfall at a side entrance at “Waterfall Lodge”. The Owenriff is so named because sulphur stones were found in the river in 1666 and 1667, a period of extraordinary drought. Similar stones were found when The Board of Works was deepening the river in 1960. The name of the river was anglicized to Owenriff.